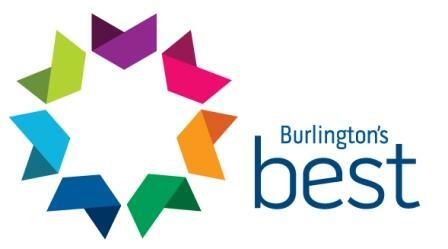 City Hall seems preoccupied touting Burlington as “The Best” according to one magazine’s criteria – but you and I know the primary reason why this is the best place. Put simply, it’s all about the people. We lead extremely busy lives. So it’s important to pause and celebrate, in particular, some of the extraordinary residents who contribute their time and energy to our caring culture. And that happens this year on Thursday, May 15 at the Burlington Convention Centre. Citizen of the Year has been handed out for the past 59 years. Do you know or recognize any of these past winners?…. Servant-leadership involves focusing on the well-being of others, while inspiring by example. The 2013 nominees certainly reflect those qualities. We should take enormous civic pride in Burlington’s remarkable history and growing base of servant-leaders through volunteerism. Gordon Schottlander (1968 – a tremendous local treasure at 89 years of age, who embodies active living as a key to health), Kevin Brady (2007 – who was also recognized as 2010 Philanthropist of the Year) and Mina Wahidi (2008 – seeking to take her public service to City Hall, as a 2014 candidate for Ward 6 Councillor). I’ll share a table at next month’s event with them, so please drop by to say hello and talk about building community! Tickets are available at City Hall (426 Brant Street) or by calling (905) 335-7600, ext. 7855. Each ticket is $35.00 (or reserve a table of 10 for $280.00). Ceremony starts at 7:30 PM. It will be worth the effort to attend, and applaud the truly best nature of our city.